Missouri’s mining industry provides more than 10,000 jobs across the state. Metal mining has been vital to Southeast Missouri for more than 300 years. 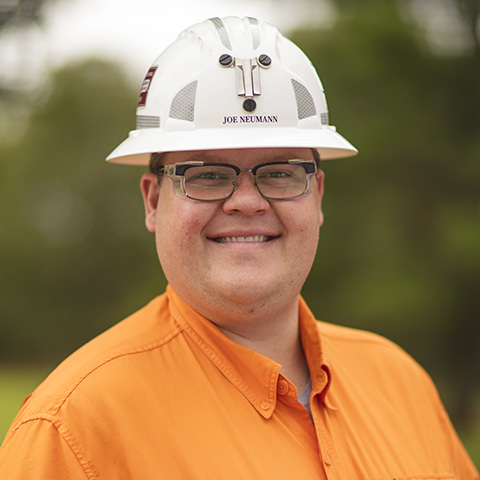 Today, Doe Run’s Southeast Missouri Mining & Milling Division (SEMO) deploys modern equipment, data analytics and stringent safety procedures to deliver valuable products. 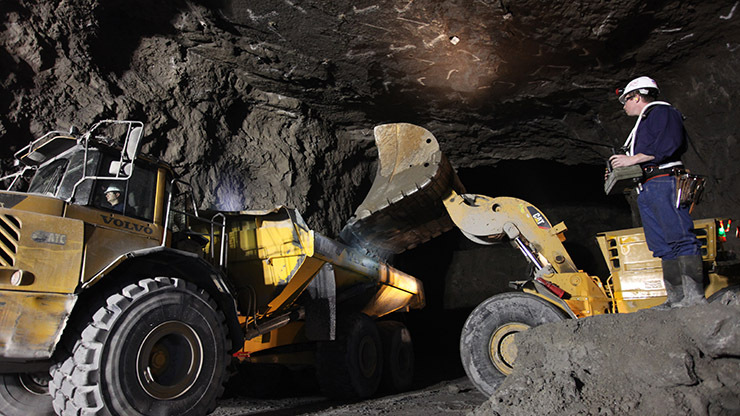 Our underground metal mining operations rely on computer networks and advanced data analytics, remote equipment monitoring, and automated conveyor trains to keep our SEMO mines operating 24 hours a day, seven days a week. On any given day, about 300 employees are underground where the average temperature is a comfortable 63 degrees. Our metal mining operations in the Viburnum Trend contain some of the world’s purest lead. We produce lead, copper and zinc concentrates to sell around the globe. Production in this area began in 1960. Since that time, we have mined more than 300 million tons of ore from the Viburnum Trend. Doe Run and our Missouri mining predecessors have mined more than 500 million tons of ore in Missouri since 1864. Our success can be attributed to successful exploration and mine planning. 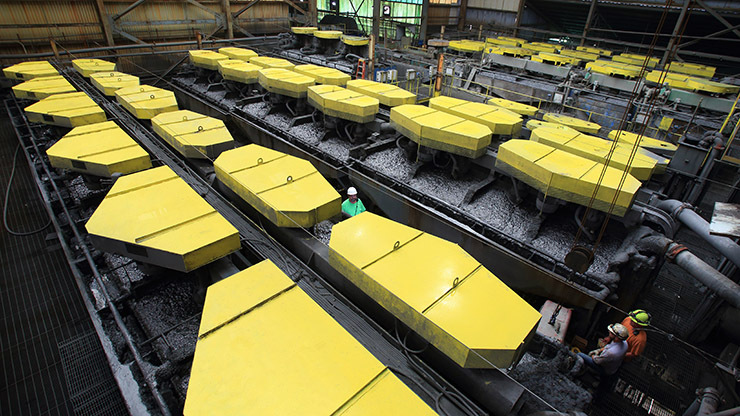 We regularly discover new ore bodies approximately equivalent to the ore we extract. Read More About Exploration & Research. 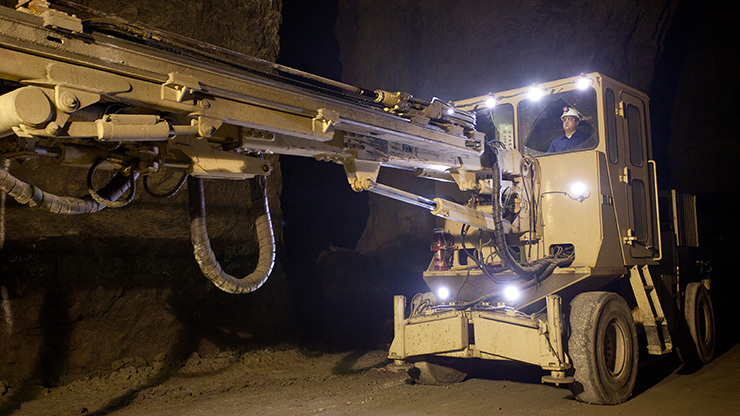 Crews drill and blast dolomite rock containing lead, zinc and copper minerals in an underground area known as a mine face. We excavate large areas (called rooms) and leave massive pillars standing to support the mine ceilings (called backs). These rooms are surprisingly large at about the size of a high school gym. Loading truck operators load the ore into eco-friendly, low-emission biodiesel haul trucks or an electronic rail conveyor system for transport to our crusher shaft. It is fed into an underground crusher to break the ore into smaller pieces that are hoisted to the surface for further crushing at our mills. Our mills run the ore through ball and rod mills to reduce it to the proper size for our flotation process. Flotation separates the copper, zinc and lead. After separation, the various concentrates are dried to the consistency of a damp powder before being stored in our enclosed storage and shipping facility. 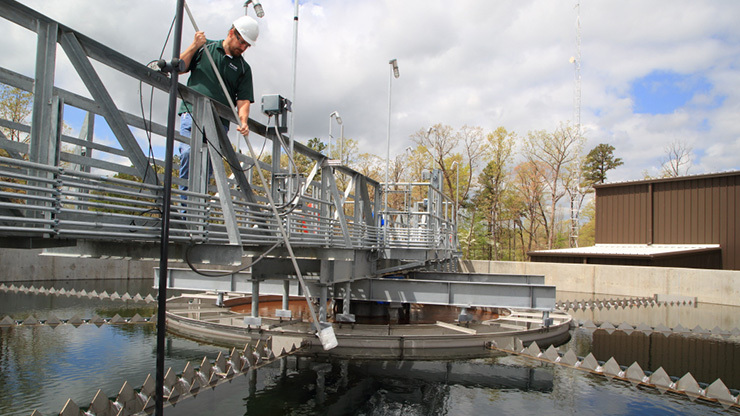 The mill uses the water that naturally occurs in the mines to move the minerals through the flotation process. Once the mineral concentrates are separated from waste rock, the waste (known as tailings) is carried by water to our permitted tailings ponds. Water from these ponds is treated at one of five water treatment plants before being released as directed by water permits. Our tailings ponds are permitted and each has a plan in place for proper closure at the appropriate time. Reclamation is the important final step of mining. 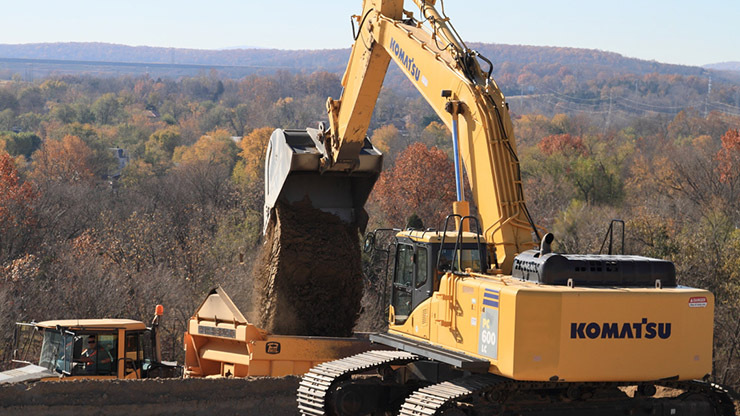 When we stop operating at a site, our expert remediation team reclaims the land according to government-approved closure plans. Several historic mining and smelter sites now serve as parks, soccer fields, industrial complexes and river ports. Operating safely is a core value, and our employees embrace a culture where we protect one another every day. We are proud to be recognized nationally for our commitment to metal mining safety. Doe Run and our predecessors have earned the National Mining Association’s Sentinels of Safety award a combined 28 times since 1971. Continuous training keeps our employees safe. All of our new mining employees complete 40 hours of in-depth safety training, and follow-up training continues throughout their careers. Companywide, our employees complete more than 16,000 hours of safety training annually. Learn More About Our Safety Performance. Our award-winning mine rescue teams stay prepared to protect their fellow workers through mine rescue competitions. The teams are regularly recognized among the best in the region and nation, winning two national Mine Safety and Health Administration (MSHA) Metal/Nonmetal National Mine Rescue Contest championships in 2014 and 2010. See More Safety Awards. Companywide, our employees complete more than 16,000 hours of safety training annually. Most of our employees live in the towns that make up our Southeast Missouri community. For many employees, these communities are where their families have lived, worked and played for generations. We invest in the local communities by supporting local organizations, educational and scholarship opportunities, and infrastructure development. Doe Run and our employees give their time, talent and financial support to create opportunities for the next generation. Employees help Doe Run to co-host the annual Old Miners’ Day celebration in Viburnum, Missouri, and Fall Rocks community event in Park Hills, Missouri. Both events celebrate the region’s rich mining history and educate children and their families about the importance of mining and minerals. We also offer free mine tours once a year, so our neighbors can see what it’s like to work in an underground mine. Each summer, SEMO opens its mining operations to students from the Explosives Camp held by the Missouri University of Science and Technology’s Department of Mining Engineering. SEMO also offers scholarships, internships and summer employment opportunities for Missouri students seeking engineering, chemistry, geology, mining or geoscience degrees. Learn more about our Southeast Missouri community.